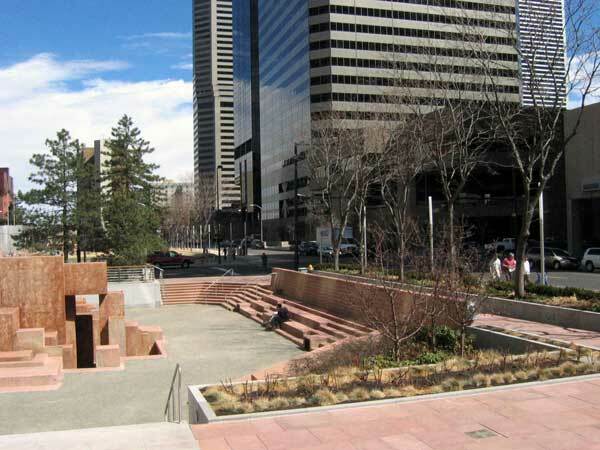 Constructed between 1972 and 1975, this one-acre linear park and plaza was a central feature of the Skyline Urban Renewal District, a revitalization plan conceived in the 1950s for Lower Downtown Denver. 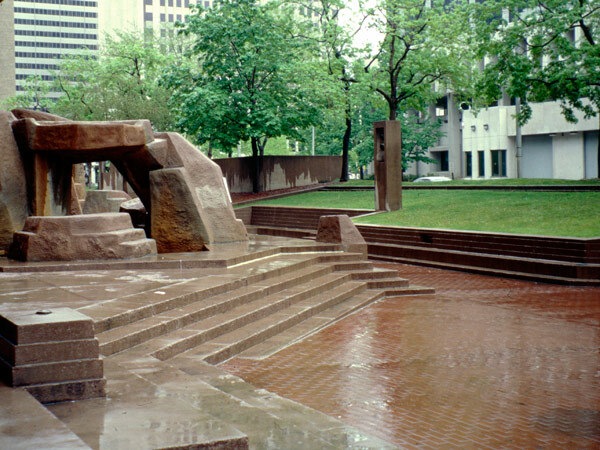 Designed by Lawrence Halprin, the plaza was intended as an urban oasis and gateway to central downtown. 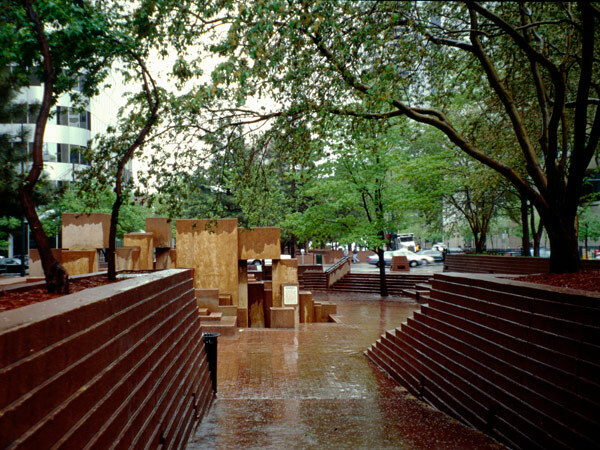 The three-block design was sunken below street level and heavily planted along the edges, with a continuous berm to separate the park and street and concrete risers to access to the space. 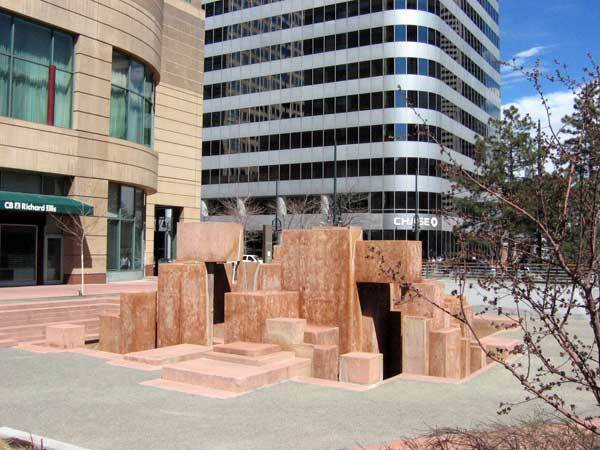 Concrete was incorporated into retaining walls, stepped seating walls, planters and abstract fountains. 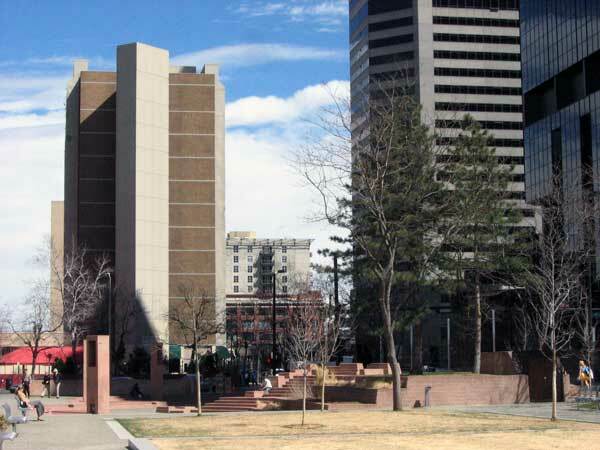 Reminiscent of rocky outcroppings, these rectilinear concrete forms reflected the nearby red stone foothills, while horizontal banding on the park’s concrete walls evoked natural stone striations and provided a visual and spatial connection between site elements. 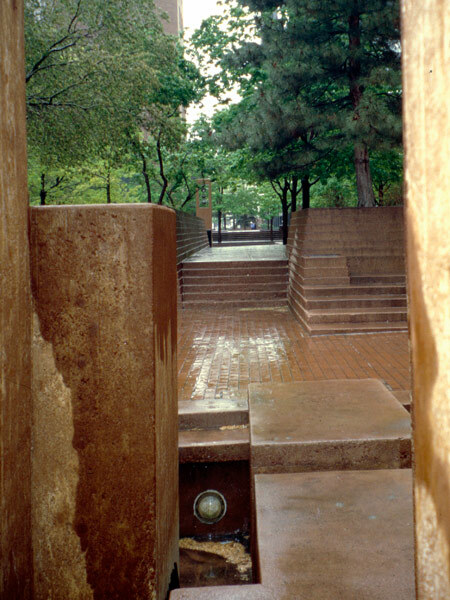 Featured within the space and connected by textured concrete and brick pathways were three major water features, one on each block. 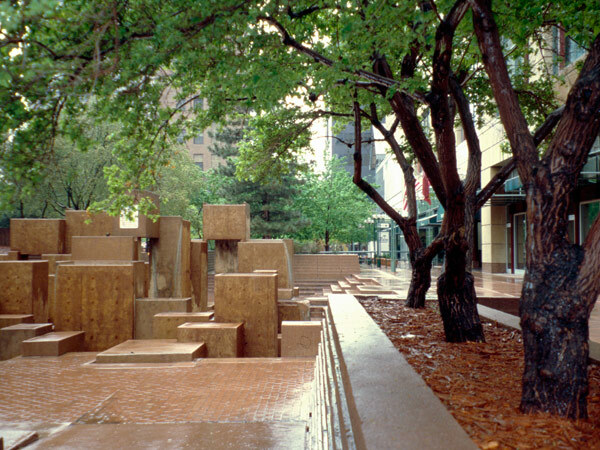 Reminiscent of other Halprin designs, these geometric fountains with rapidly moving water were an experiential part of the landscape. 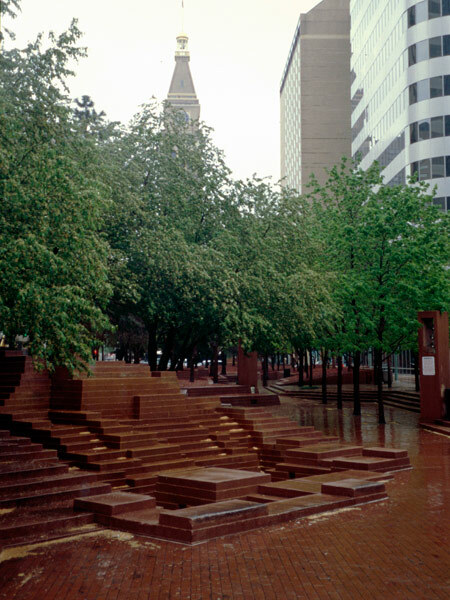 The park’s plantings added a unique element to each space and included evergreen trees, flowering crabapples, Norway maples, honeylocusts and wintercreeper. 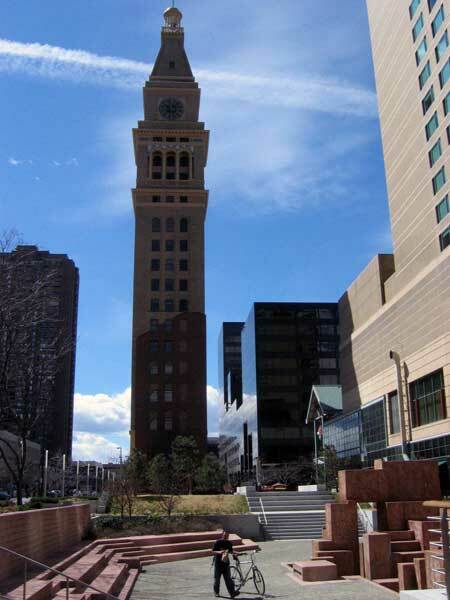 Use of the park declined in the 1980s. 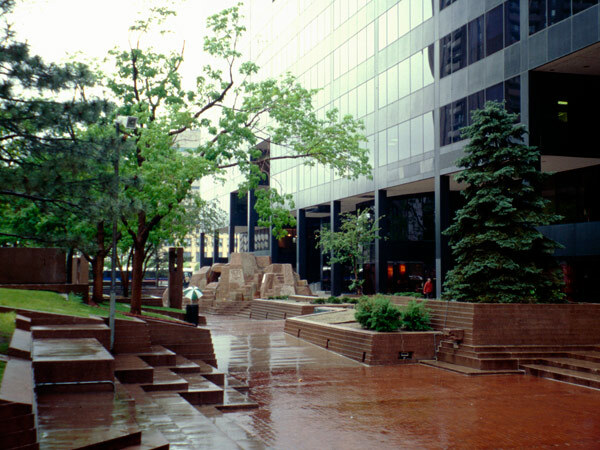 In 2003, much of the park was redesigned, with several walls and two of the fountains left intact, the berms removed, and other areas replaced with a simpler planting palette and large areas of lawn.